You've written your piece, made changes, fixed any errors, so now your document is just about perfect, yes? So in triumph, you launch or print your "final version". As you scan your masterpiece, your jubilation is short lived as you discover yet even more errors. You simply can't understand how you missed them during your earlier "thorough" checks! However, don't be too hard on yourself. There's something weird happening in the human brain while working with computer or electronic screens that seems to play tricks with the human eye. Or perhaps our eyes have simply had more time to grow accustomed to reading printed publications. Yet as a digital writer who almost always works with a Mac, PC, and tablet device rather than typewriter or paper and pencil, I hold up my arms and freely admit that I too seem particularly prone to making obvious errors on first and second drafts, sometimes on third and later drafts too. Yet over time, I've learned to develop a method that seems to work best for me, but which I have changed and modified when high resolution tablet computers became available. I suggest that you consider evolving your own "check your document" sequence that helps you spot and fix as many errors as you can. To help craft the perfect document every time, consider the guidelines below. The following 10-point checklist doesn't cover every scenario you may be faced with when writing a publication destined for print or the web. If you're using an Apple Mac, you can most likely ignore the prompts below to save often, since your Mac software will most likely automatically save for you. Microsoft Word could meet your goal, especially if you use a Microsoft Windows-based PC. Another excellent option is to use StyleWriter - The Plain English Editor from Editor Software. If you're using an Apple Mac, unfortunately, at the time of writing, Editor Software is still not available for the Mac. However, at the time of updating this article, you can install Windows on a Mac using software like Parallels Desktop® for Mac. If using Parallels Desktop® for Mac, do be aware that by adding Microsoft Windows to the Mac, you may be increasing risks to your Mac, or reducing your Apple Mac security. Of course, grammar checkers aren't perfect. No software can catch all errors perceived or real. The English language is so complex that sometimes software simply can't make proper sense of a sentence - that is why your experience, judgment and ability to spot errors manually is so useful. However, the key point is, with grammar-checking software, you can identify most grammar problems early on - and provide a fast fix. Better: run several spell check cycles. While spell checking doesn't check for grammar errors, you can check for those later. We're supposed to be going digital as much as possible. Using electronic screens must surely be far better than finding another reason to kill more trees. Nevertheless, if you opt to print an evaluation version, draft print copy quality is fine at this stage - you don't need higher resolution print quality - yet. Print text quality that is sufficiently clear for you to error-check your document is all you need. Performing Step 4 is also often enough to identify a few more errors that for some astonishing reason, you may not have spotted when working on the PC version previously. By reading your document word for word backwards, sentences deliberately make less sense - that's precisely what helps you slow down and focus on the words only. Since your mind is not as familiar with your document when approached in this contrary manner, you're less likely miss any spelling errors that did not get picked up first time in Step 2. Once you have corrected your electronic version, place a tick mark / check mark next to the fixed matching error on your printed version. Make sure your updates have been saved. Why: reading start to end slowly helps identify any remaining faults and / or identify any remaining areas where you think you can improve the finish. Curiously sometimes for some folks, reading aloud seems to helps highlight the writing flow and style better. Perhaps the act of reading aloud forces us to slow down sufficiently to help determine errors or shortcomings that can't easily be spotted using any other method. If you regularly work with an electronic copy on your computer or tablet device, you may prefer to do this directly on your PC, Mac, or tablet device. Again, remember to save your changes often, if your device or software does not automatically save your document every few seconds, or after a change to the document is made. Run a spell-check again and fix any additional spelling errors. Save any changes made to your electronic copy in Step 7, then stop. Leave your document alone at least for a day to give your mind a rest and to provide a fresh perspective when you next continue to work on your publication. Make any remaining corrections and improvements that you consider are required. When you read Step 08, you may feel like you've already pulled your favourite teeth out with a wrench. However, stay focused, do the step. You may wonder how those remaining errors were still present after all you've done. Why: to bypass your own bias and familiarity with your document. Someone new, with a fresh perspective, can help establish any remaining errors or highlight points that could be improved. By all means, ask your friend or colleague for their opinion but remember, as the author, ultimately, you must determine what applies. If you must, print your final copy in higher resolution if required. Better: we're now in 2018, the use of new paper for publications is dying out. Even money cheques / checks will disappear once the remaing people catch up. Therefore, why not choose an electronic delivery format instead? For example, PDF, web pages, podcasts, the various ebook formats for Amazon Kindle and Apple Books. Key tip: following an editing checklist sequence such as the one outlined above isn't exciting. It's not meant to be - rather for such tasks, you want cold logic to take over from creative endeavor - and that's the secret here. Completing these simple but arguably boring steps can help ensure you are more likely to craft a perfect document - every time in the shortest time possible - and that's the key benefit. Update: for me personally, with the development of high resolution tablet computer screens, combined with a greater environment impact awareness or printing, I have learned to complete the process above without needing to print anything and simply work from the electronic version from start to finish. While for a variety of reasons, mistakes can, will, and do still happen, repeatedly. Life gets in the way: a summary for many ills. Over a lifetime, everyone makes mistakes. Yet, as writers, website creators, communicators, we can still strive to continuously improve, where we can, when we can. 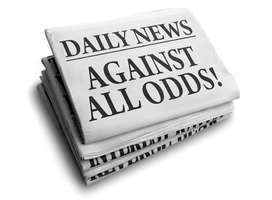 Beating impossible odds can offer a wonderful moving target to always keep aiming for, no matter frustrating outcomes, especially for stubborn-headed authors. Moreover, with patience, a continuing interest in how to perfect increased focus, concentration, and practice, the digital-only method can work just as well as printing on paper. To determine which method works best for you, try both approaches several times.